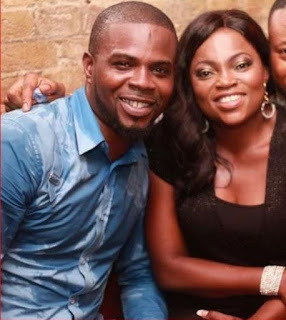 Nollywood actress, Funke Akindele and her husband JKC Skillz have launched a record label known as Scene One Records. Artistes signed under the label include Mo’Eazy formerly signed under veteran, Darey Art-Alade. Others are Ruby and Pearl (members of Gemstones), MartinsFeelz and Sonorous. “When I met JJC, I loved his talent so much, so, I told him why don’t we have a record label. I don’t know anything about music. My husband is a good producer and singer. “We went out to look for fresh talent and here we are today,” the actress said. JJC revealed that the couple are working on a television soap opera called ‘Industreet’.